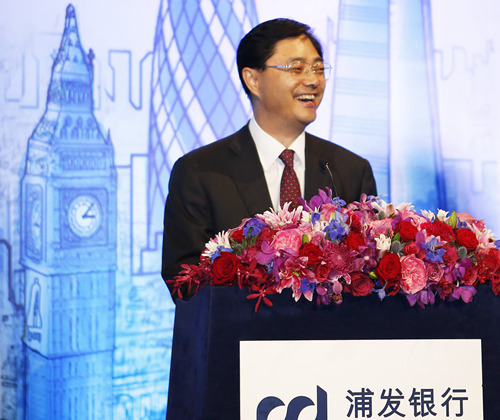 On October 30, the Shanghai Pudong Development Bank London Representative Office was lauched at the Draper’s Hall in the City of London. Chinese Ambassador Liu Xiaoming, Lord Green, Minister for Trade and Investment of the British Government, Boris Johnson, Mayor of Greater London, President Zhu Yuchen of Shanghai Pudong Development Bank (SPDB) and more than 200 guests from the governments and business communities of both countries attended the launch and the cocktail reception. 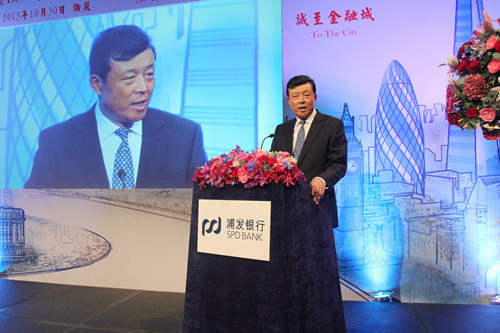 In his speech, Ambassador Liu Xiaoming congratulated the launch of the Shanghai Pudong Development Bank London Representative Office. He said although SPDB is a young bank, it has advanced in the pace of the times and has made outstanding achievements thanks to Shanghai’s opening up and China’s financial reform. SPDB is a rather young bank among Chinese financial institutions that have opened branches in the UK, but “a youth is to be regarded with respect”. With the establishment of the Shanghai Free Trade Zone and the deepening of financial cooperation between China and the UK, SPDB will seize the new opportunities and catch up with the rest through its representative office. He looked forward to the greater success of SPDB in the UK. President Zhu Yuchen introduced SPDB’s development history and business operation. He said London Representative Office is the first branch established overseas by SPDB. By serving the economic and trade exchanges between China and the UK and offering financial products and services, it will serve as a bridge between Shanghai and London. 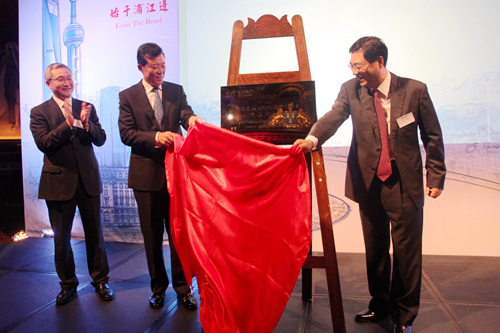 Then he thanked the Chinese Embassy in the London, UKTI and Greater London Authority for their support. 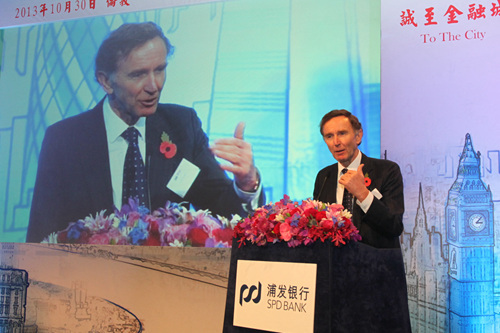 Lord Green welcomed SPDB to establish its representative office in London, noting that the UK welcomes investment from Chinese enterprises and is willing to offer support in all respects. He hoped that the enterprises of both countries may strengthen cooperation and add momentum to the development of UK-China relations. 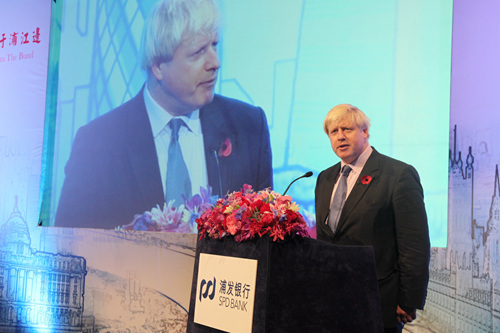 Mayor of Greater London Boris Johnson said the establishment of SPDB’s first overseas representative office in London once again demonstrates the friendly relations between London and Shanghai. It is also a proof of London’s influence and appeal as an international financial centre. The City of London will provide Chinese financial institutions with excellent services and he hopes that London may become a centre for cross-border trading of RMB. He is full of expectations of future UK-China financial cooperation. Upon delivering speeches, Ambassador Liu Xiaoming unveiled the nameplate of the Representative Office together with President Zhu Yuchen.